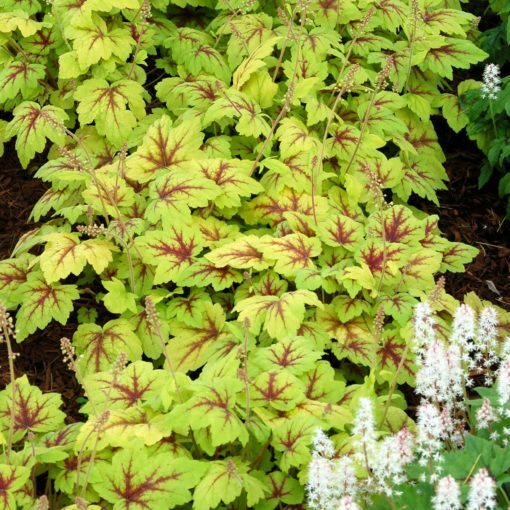 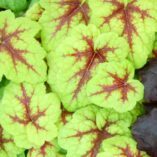 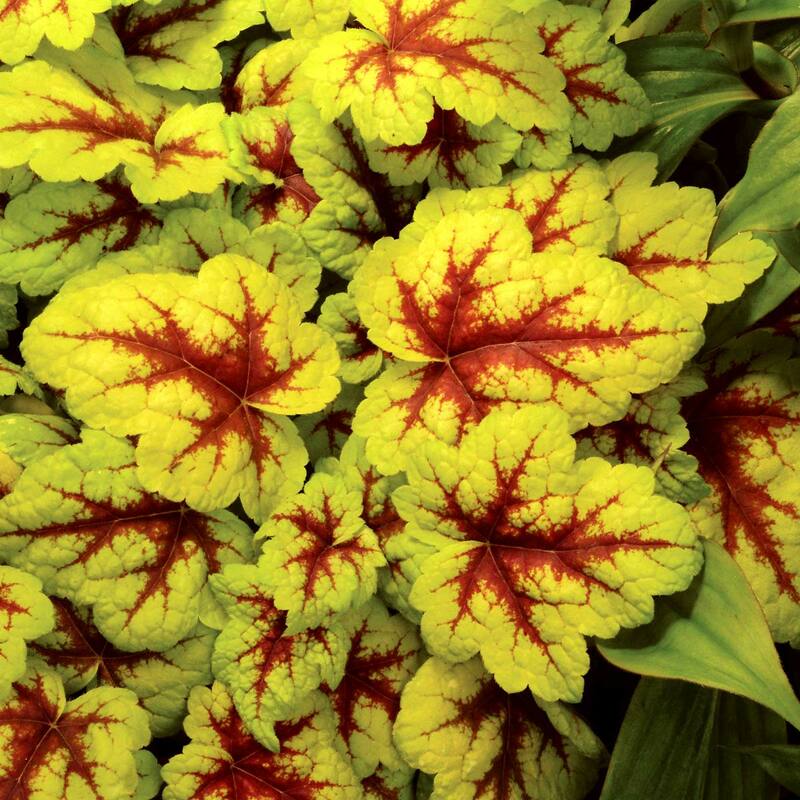 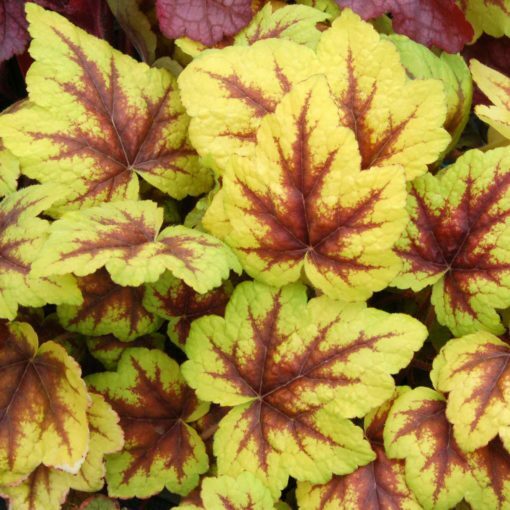 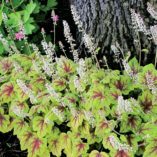 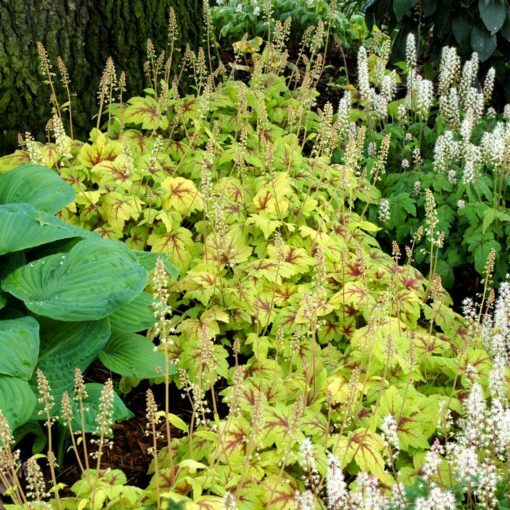 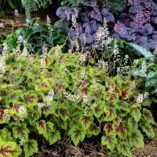 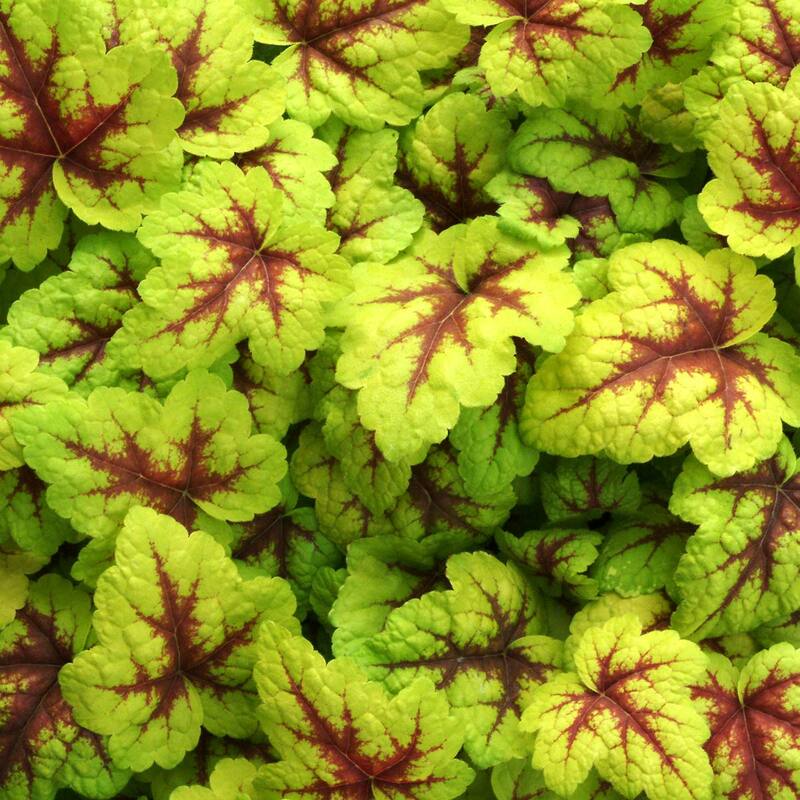 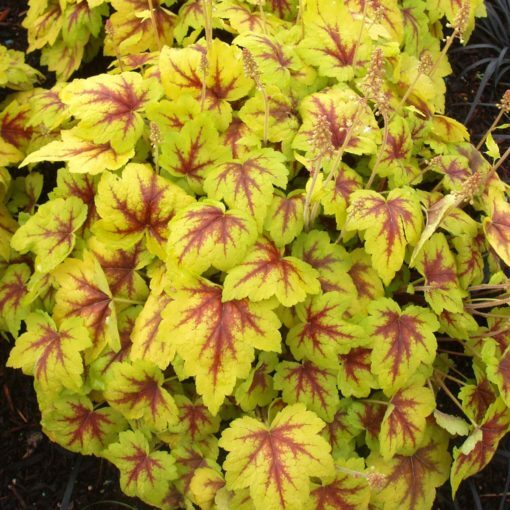 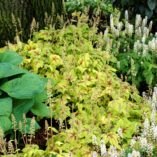 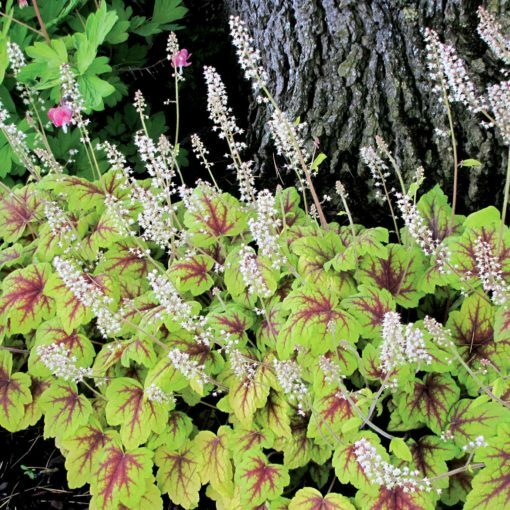 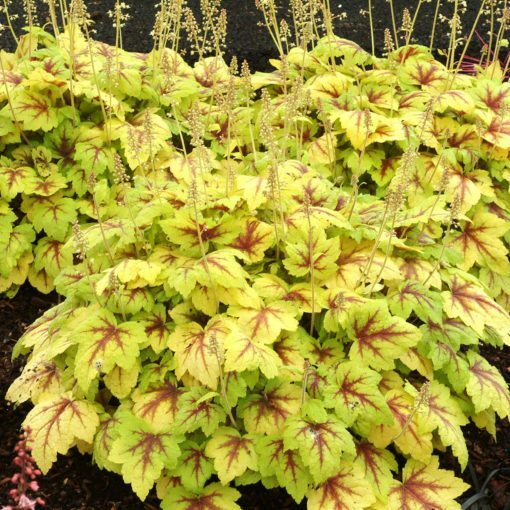 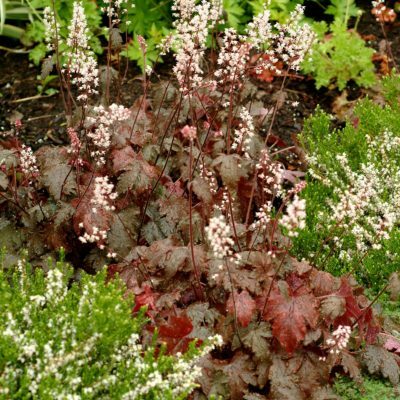 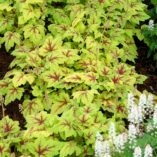 Heucherella ‘Stoplight’ | TERRA NOVA® Nurseries, Inc.
Large, red centered, yellow spring leaves change to lime green with red centers in the summer warm months. 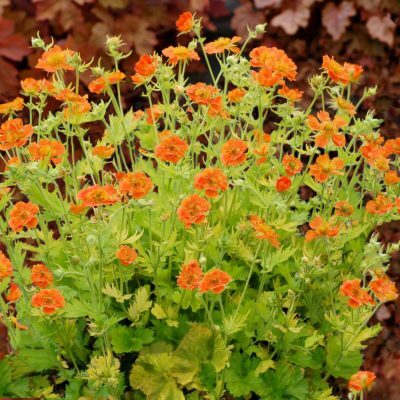 Combines with red flowering annuals and perennials for multi-seasonal interest. 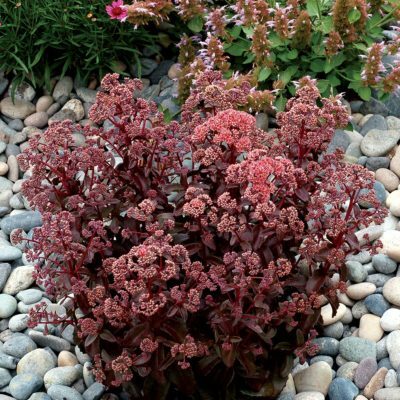 Creates a focal point anywhere it is planted. 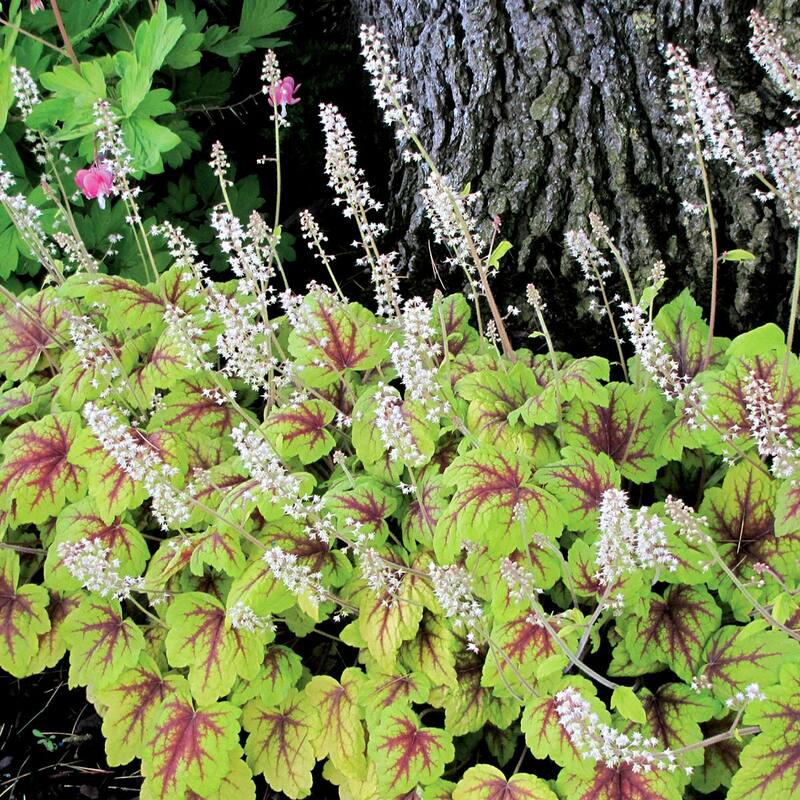 Airy white flowers are produced in spring. 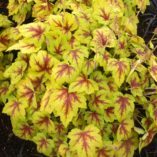 6" / 14" / 16"
It forms a smaller mound of color with leaves that are less cut than 'Alabama Sunset'. 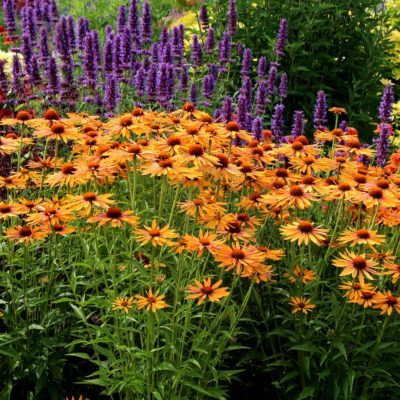 When comparing 'Sunspot' & 'Stoplight', 'Sunspot' has much better flowers and 'Stoplight' has much better foliage. 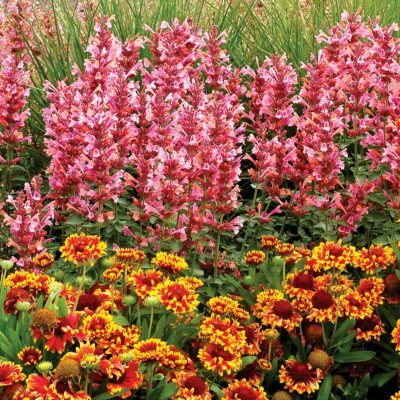 Mass planting, contrast, accent or container.